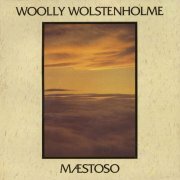 Stuart "Woolly" Wolstenholme left Barclay James Harvest in 1979, and released Maestoso the following year, with a remit very similar to that of his previous outfit. The album is vaguely progressive, but with a strong emphasis on songs, many of them veering sharply towards the 'commercial' end of the spectrum. While it doesn't personally blow me away, it does what it does very well and I'm really quite surprised that it didn't sell better than it did at the time. Woolly still had his M300 'Tron and toured it the following year, but only used it on a small number of tracks on the album, preferring string synth for many of the chordal washes. This fits in with his late-BJH days, when his 'Tron became almost superfluous in the studio. Steve Broomhead's guitar does a similar job to John Lees' in BJH and the album is surprisingly guitar-heavy. Oddly enough, there's a faint Enid-ish feel to some of the more symphonic material, particularly the title track, so BJH's early collaboration with future Enid main man Robert John Godfrey presumably left its mark, even a full decade later. After Maestoso pretty much disappeared without trace, Woolly dropped out of sight for many years, tending to his farm in Wales and fighting idiotic court cases brought against him by people who should have known better. Shouldn't they, Robert? In 1994, small UK label Voiceprint resurrected Maestoso and added a full album's worth of extra tracks, mostly recorded for Black Box, the follow-up that never happened, which oddly open Songs From the Black Box, tracks 10-18 being the original LP. The extra tracks fit in fairly well with the Maestoso material, with Mellotron on three, including Deceivers All, which had already seen the light of day as the highlight of The Rime of the Ancient Sampler: The Mellotron Album, a various artists CD from the previous year, which does exactly what it says on the packet. 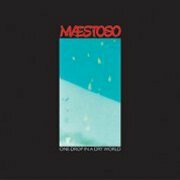 After the set slipped out of print, it was reissued in 2004 as Black Box Recovered, sensibly ditching the Maestoso tracks and adding a clutch of demos and live material, the version I've reviewed here. Extra Mellotron on another four tracks, including Why Remain, the A Prospect Of Whitby demo and a live Deceivers All. If you like BJH, you'll almost certainly like Songs From the Black Box/Maestoso and if you don't, you probably won't. There's some reasonable 'Tron, but don't expect early BJH standards. Good news on the Woolly front is that in early 2001 he toured with John Lees in the tortuously-but-legally-necessarily-named Barclay James Harvest Through the Eyes of John Lees, with an M400 he'd recently bought, playing a full set of BJH material to sizeable crowds, followed by the reformation of his own band, Maestoso. Of course, Woolly tragically took his own life in December 2010, robbing us of not only his talent, but the man himself. R.I.P., Woolly. 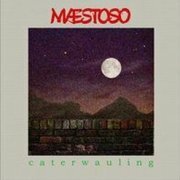 Those of you who've been paying attention will realise immediately that there's a Woolly Wolstenholme (ex-Barclay James Harvest, of course) connection to Maestoso, it being the name he used for his band in the 2000s, including guitarist Steve Broomhead from his early'-80s lineup. After his various trials and tribulations over the last decade or more, in many ways it's a miracle that Woolly's managed to release anything at all, never mind an album as good as One Drop in a Dry World, so it must've been particularly galling for him that so few tickets were sold for his comeback UK tour that he only ended up playing one date (London, natch) and that to a half-empty club. 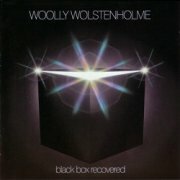 Anyway, the album: while having some stylistic components in common with BJH, in many ways it's more typically symphonic prog than that band ever were, probably in keeping with Woolly's own influences, which aren't dissimilar to those of his bête noir and former collaborator, The Enid's Robert John Godfrey. The highlight is probably the exceedingly excellent title track, with its rich key changes and full-on 'Tron, but several other tracks all do the job, particularly the opening one-two of The Bells, The Bells!/Blood & Bones. It's sometimes hard to tell where Woolly's using the 'Tron (more echoes of BJH, then), even though he's now using an M400, although it's pretty obvious on most of the highlighted tracks above. 2 a.m. is another Mellotronic highlight, although I'm in two minds as to whether or not there's actually any on Souk at all. So; an excellent return to form, after (deep breath) BarclayJamesHarvestThroughTheEyesOfJohnLees' relatively anodyne Nexus from a few years ago, and the rather low-key live album from the tour, Revival. February 2005's live Fiddling Meanly (ho ho - it was recorded at the now-demolished Mean Fiddler) hails from the aforementioned lone London show, comprises an hour-long trawl through Woolly's recent and distant past, although studio opener Abendrot actually hails from their then-forthcoming release and closer Big Organ End also sounds like a studio recording. The live tracks delve back to the late '60s (Poor Wages and Early Morning), skate through a handful of Woolly compositions for BJH (The Poet/After The Day, The Iron Maiden, a couple from XII), touch on his early '80s solo period (Deceivers All, Prospect Of Whitby) and come right up to date with material from the previous year's One Drop in a Dry World. The highlight is probably the The Poet/After The Day pairing (originally on And other Short Stories, of course), while some of the acoustic tracks slightly outstay their welcome, but overall, it's a fine document of the band's brief live career. From memory of the event and the audible evidence, Woolly used his M400 less than you might expect, with strings on The Bells, THE BELLS!, Deceivers All (of course), The Poet/After The Day and Early Morning, but it's always good to hear. 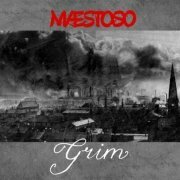 Maybe surprisingly, later the same year, Grim arrives. While possibly not as good as the previous year's effort, it's still a fine album, with neo-classical grandeur (Abendrot, Overture: Marsch Burleske), eccentric 'tell it like it is' lyrics (The Iceman Cometh, Scene From A London Flat) and folk-influenced whimsy (Loot, Harp + Carp), although it seems to lack the highlights of One Drop. A reasonable helping of Mellotron, although (guess what?) it's not always easy to tell when it is or isn't being used. The parping Through A Storm features the strings, albeit in a supporting role, with nothing else obvious until the choir (and strings?) on Hebden Bridge and choirs on the oddly-titled Harp + Carp. There are places on the album where it's hard to tell if the cello parts are Mellotronic or not, but they certainly sound like it on Location, Location, Location. More choirs on Abendrot, though the orchestrations on Overture: Marsch Burleske sound sampled. 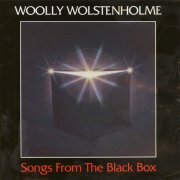 So; another decent album from Woolly and crew, if not quite the equal of its predecessor. 2007's Caterwauling is a rather mixed effort, to be perfectly honest; more neo-symph (the epic Soldier Of Fortune, Quicksand), heavier efforts (The Collector, the angular, Crimsonesque parts of Soldier Of Fortune) and Woolly balladry, so to speak (Closure, Blossom Hill). In fairness, you don't listen to a Woolly Wolstenholme album expecting twelve identical tracks, thankfully, but the diversity on display here possibly just tips the balance between cohesive and its corollary. Once again, it isn't always easy to tell what is or isn't a Mellotron when orchestral instrument samples are also utilised, but I'd put my money on the several large, lush string parts on Soldier Of Fortune, flutes and background strings on Matilda Yarrow, distant strings on Shoes and orchestral ones on Quicksand. 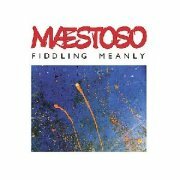 So; Maestoso used to be signed to Eclectic Records, before they went bust - a fitting label for their genre-hopping albums. I'm not sure how many people invariably like all of a Woolly album, but most prog fans should go for some of just about anything he puts out. I personally prefer One Drop in a Dry World and Fiddling Meanly to the band's two later releases, but all have their strong points, particularly on the Mellotron front.